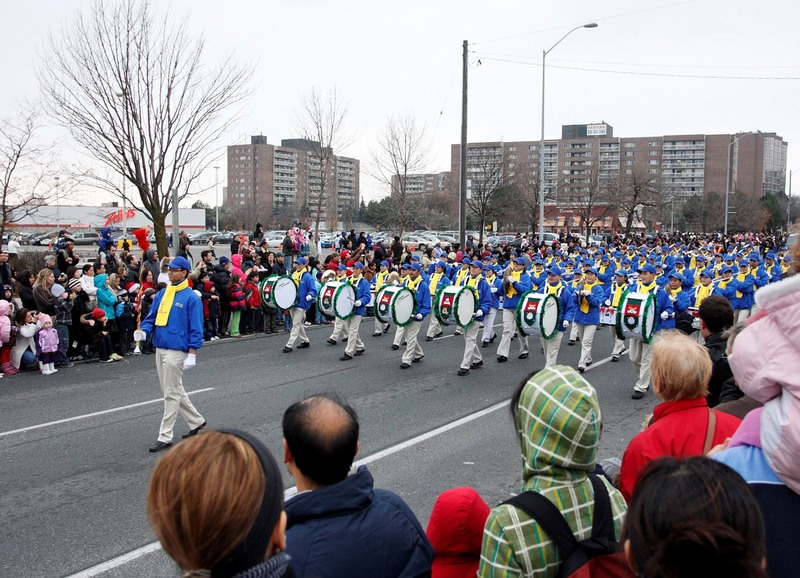 (Clearwisdom.net) The annual Santa Claus Parade in the greater Toronto area was held on November 15, 2009. 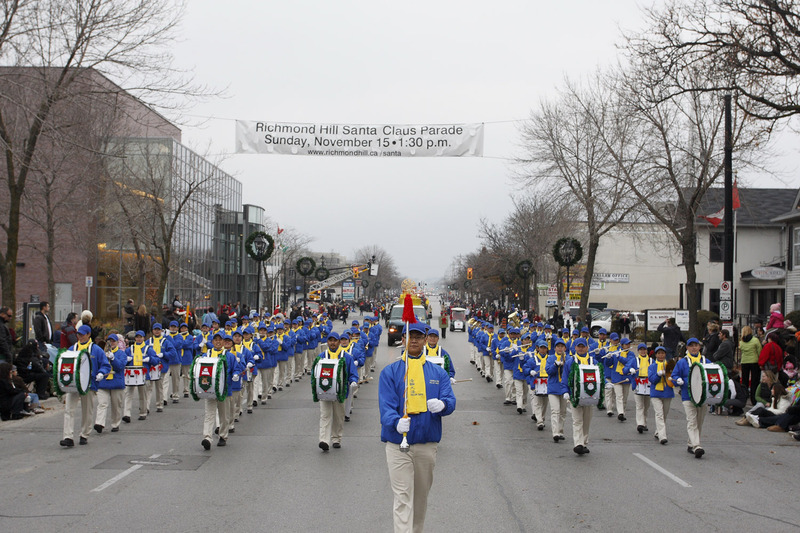 More than 80 groups took part in the parade, including the Divine Land Marching Band, which has performed in the parade for the last two years. Mr. Yuan and his family came to Toronto from Shanghai a few months ago. He was amazed by the Divine Land Marching Band, which consists of local Falun Gong practitioners. Mr. Zhao's family is from Beijing. They took many photos of the band. Mr. Zhao said, "I am so proud of Falun Gong. Their entry looks great. I think it will not be too long before they can play in China." Ms. Ma from Shandong was pleased to see the Falun Gong performances in the free country. One local family said that the performance of the band was excellent. "Excellent, coordinated and amazing... I can't wait for next year!" One local citizen said he wished that the whole parade was the band performing, because he found the music very touching.